It is possible to conduct study days for groups of adults, which include a tour of the museum’s three exhibits (the tour takes about an hour and half). “Art as a spiritual revolt”: a tour of the historical exhibit “Theresienstadt 1941-1945” and of the exhibit “If I could return to my home”, with an emphasis on the underground art created in the ghetto and a discussion of the power of art in difficult periods. “The sprout from which the Jewish people will grow again”: a tour of the historical exhibit “Theresienstadt 1941-1945” and of the exhibit “If I could return to my home”, with an emphasis on the memory of the Holocaust and the question of how the next generations will approach the subject. “Sport and human spirit”: a tour of the exhibit “Theresienstadt 1941-1945” and the exhibit “Liga Terezin: Sport and youth in the ghetto” with an emphasis on the place of sport in preserving humanity and human values. “Dream and reality”: the longing for the Land of Israel in the ghetto and the kibbutz life. 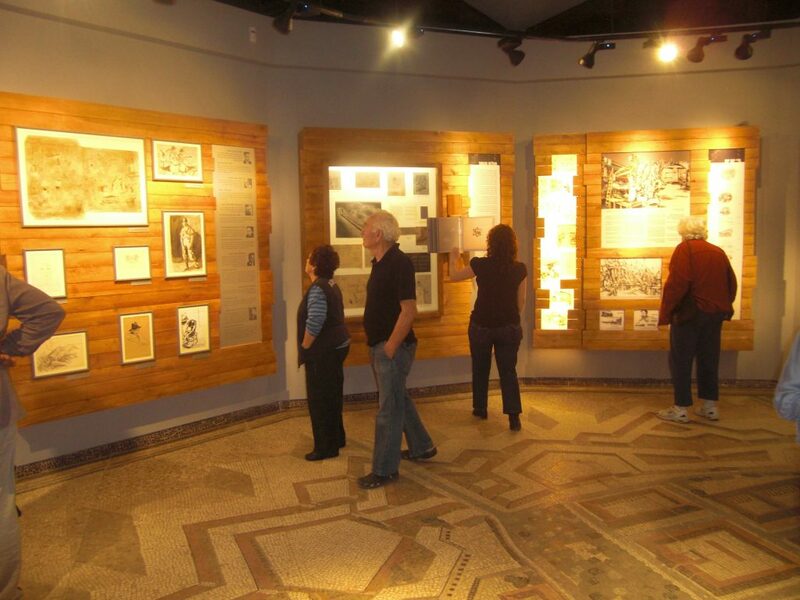 A tour of the exhibit “Theresienstadt 1941-1945” and the exhibit “If I could return to my home”, with an emphasis on the education for Zionism and the meaning of the Land of Israel for the ghetto’s children. “The hidden treasures” VIP (for a group of up to 15): a tour of the museum’s exhibits “Theresienstadt 1941-1945”, “If I could return to my home”, and “Sport and the human spirit”. Exclusive VIP exposure to an original historical item from the archives which has a special story.